Why Choose Langheier & Ravipati Healthcare? Fast & Friendly Service We provide fast and efficient treatment for automobile and motorcycle accident injuries, slip and fall premise liability injuries. 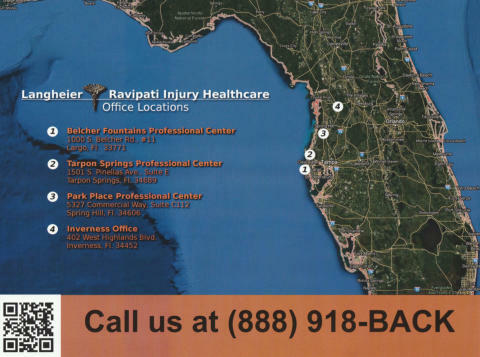 With Compassion and Care We have 4 locations serving 4 Florida Counties. 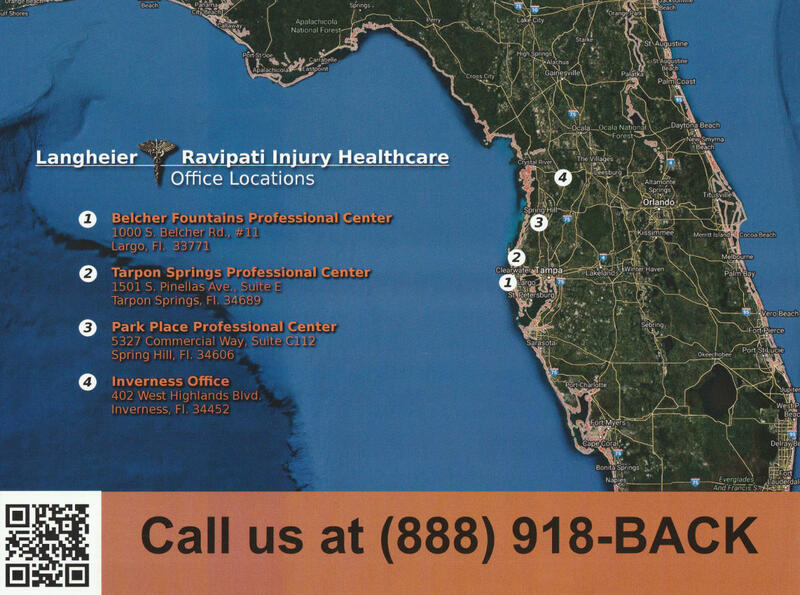 Langheier-Ravipati Healthcare has a location near you to provide quick and easy pain relief for any injury. 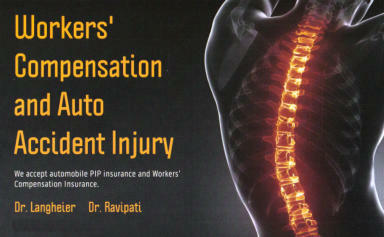 Dr. Murthy Ravipati, M.D. Dr. C.E. Langheier, D.C.